Blue Frontier joins forces with Southampton BID to bring local businesses a series of workshops focused on digital marketing to help generate more business by improving their online presence. The new partnership has been designed to deliver a series of free workshops, talks and networking events to BID members in Southampton to help improve knowledge and generate more business via their websites and social platforms. Each session will be catered for by a local business - the first event will be hosted at Coffee Lab Bargate on 18th January 2019. Go! Digital provides BID members with an opportunity to meet a team of industry experts from Blue Frontier with experience across a range of marketing disciplines. Some of the topics include; search engine optimisation, social media marketing, web design and the benefits of video. Members are invited to register their interest in the subjects and topics that appeal to them most, in order to determine the content of future events. "This is an exciting opportunity to meet local businesses with a keen interest in developing and expanding their marketing knowledge. We’ll be covering a range of subjects that attendees want to learn about and help them to deliver more effective marketing strategies." Southampton BID members are invited to attend the first Go! Digital breakfast session at Coffee Lab Bargate on Friday 18th January 2019 for an introduction to digital marketing by Blue Frontier. Blue Frontier is an ISO 9001, 13485 & 27001 accredited agency offering a full end-to-end service, specialising in web design, development, digital marketing, social media marketing, mobile phone app development, cloud computing and IT technical support. If you are a member of the Southampton BID and would like to attend future Go! Digital events, please email info@gosouthampton.co.uk. If you are interested in becoming a member, you can contact Go! Southampton by calling 02380 003637. For more information about Blue Frontier, please contact us. 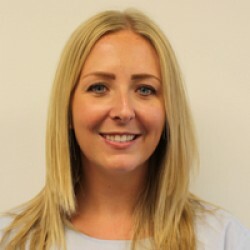 Hayley joined the Digital Marketing team at Blue Frontier in June 2018. Having previously worked with both online and offline marketing methods, she enjoys writing content and is now developing her knowledge and skills in SEO to help increase online visibility for businesses.